For some time now there has been a largely internet spread myth that feeding birds white bread causes a condition known as “angel wing”. I’m not going to spout any science here, because there are no scientific studies of any credibility on the subject to either confirm or deny that this one foodstuff causes deformity in growing birds, just conjecture spread by people attempting to make money by selling corn or other foodstuffs for their own personal profit. It is also used by the “pest” deterrent industry to drum up trade for hiring them. Whereas the passing of the condition from adult to offspring may be feasible, as a result of increased protein in the diet, the idea that adult birds can develop angel wing is utterly false lies. No adult bird can develop angel wing, not under any circumstances. If it was food for human consumption causing deformities, the claims would be investigated by trading standards and the Food Standards Agency amongst others. But the absence of any rational investigation does not curb the “Bread causes damage” corn selling venders statements- even when it is high protein seed they are selling; that is better for birds of course because it doesn’t cause angel wing does it? 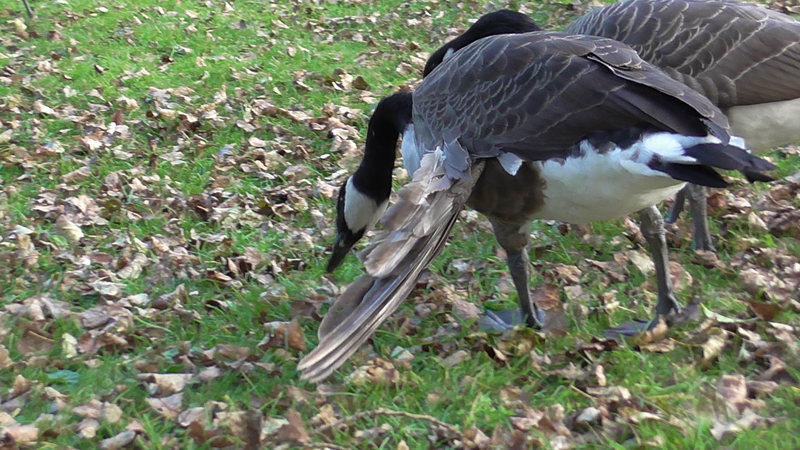 Angel wing is not at all a “common” affliction in wildfowl that the grain vendors will try to lie about. I have been rescuing wildfowl in the West Midlands now for over 17 years, not as long as some people maybe, but long enough to know the score of what I can see with my own eyes, and using a brain instead of swallowing up crap on the internet. In all that time I have only encountered 5 mute swans out of hundreds that have had angel wing. I have certainly seen more geese with it but it has to be <0.5% of the whole population. I cannot recall ever seeing a mallard with the condition, broken wings yes, angel wings never. There do not appear to be any consistent factors at play in trying to unravel why so few birds develop deformed wings, sometimes both, but usually the left one. It should also be stated that birds with angel wing though flightless, can lead perfectly comfortable lives in the wild, without interference and they don’t need to be “rescued” purely to confine them because it makes someone feel better that they do not have to look at a deformed bird in their local park anymore. Given a choice, I’m sure a wild bird would rather be free than caged for its entire life. People should perhaps stop to consider using a little rationale and common sense before swallowing bread “damage” nonsense. 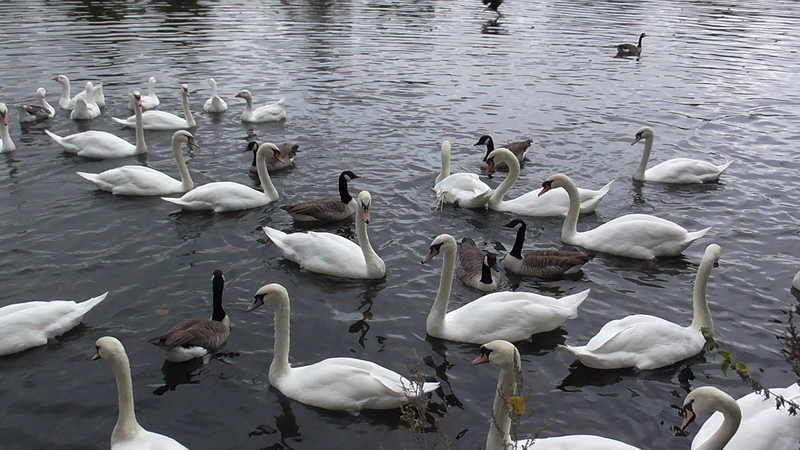 The West Midlands is one of the most heavily populated areas in the UK, with many of the man made lakes containing a variety of well fed wildfowl- much of it on bread. If it were the case that this foodstuff, consumed by humans by the loaf load caused deformities, then why is it so uncommon amongst the birds? What evidence is there to show that humans who eat white bread, especially children, develop deformities in their limbs as a result of eating jam sandwiches or toast for breakfast, dinner or tea? When you look around you in your local parks, there are many potential factors which could cause deformities or illness to birds, usually of man made chemical origin that have been linked to deformities or illness in man and birds. The periodic table of the elements is where attention should be focused on explaining some of the damage caused to wildlife, and the economy that it feeds through related chemical industries. Lead poisoning is still encountered in wildfowl, even as another myth that “all lead shot was banned in fishing” still continues to be trotted out by many ignorant to the fact that only the middle range of weights were removed in the 1987 action. Dust shot (size 8 and smaller) is still legal, and can be swallowed. It is also the case that there are several sources of lead available in the environment which should all be banned as well. Shooting lead, battery lead, pewter lead- ban it all, it is all toxic in the environment! “There are no forms of lead or its compounds which are not toxic. Ingestion of any lead, no matter how little has been demonstrated to have a measurable biological effect.” Hunt 2002. Zinc has a similar affect to lead in wildfowl, and there are documented cases in Wigan in the North of England of former open cast mines being turned into man made lakes, and where instances of poisoning have been demonstrated. It could be the case that creating “wildlife habitat” in such former mining areas is not a very good idea. “Zinc toxicity produces similar symptoms to lead toxicity (and is also treated in the same way so may responds favourably to chelation therapy, perhaps reinforcing a provisional diagnosis of lead poisoning) yet is a separate clinical entity which requires accurate diagnosis and treatment. Analysis of “non-toxic” split shot samples has revealed both lead and zinc are included in the alloys used.” From letter published in the veterinary record September 1999 S.W Cooke/Z.R.Cooke. Further instances of zinc poisoning, which appears to target the pancreas of birds can be read below. In a case of a particular hazardous waste site we have been banging on about for years, white phosphorus, a banned rat poison was causing deaths of wildfowl over many years. White phosphorus has in some studies also been linked to deformities in chickens, and the claims about its military uses and consequences in Iraq continue to provoke controversy. It is possible that “misconnections” in water company sewers leads to pollution reaching lakes in borough parks. In Sandwell there are certain lakes where this has happened repeatedly, yet the complainers about bird mess appear to overlook such factors. Perhaps they should inspect how their washing machine is connected before spinning garbage about geese. It is true that mouldy bread can kill, and that dumping large quantities in pools offers little for the birds when they are clearly not hungry. We would not condone dumping trade waste simply to offload it- this is clearly happening in some areas. 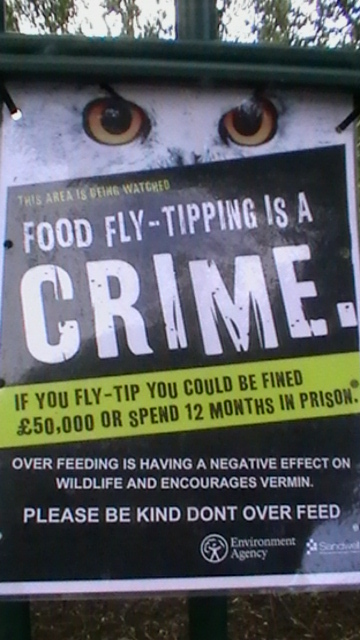 We would also encourage people to not feed birds when there are clearly piles of uneaten food lying around. A little common sense should be applied- it’s not that difficult, but it is easy for some authorities to spread nonsense about the stuff- especially when they are anti-bird like Sandwell council. They should be more concerned about the dumping of chemicals killing wildlife, and their failure to stop it. Every day of the year, wildlife rescuers, including the RSPCA have to use bread to attract wildfowl to rescue them from many problems of man made origin, some caused by local authority apathy, and many by .GOV agency policy incompetence, though very few if any of these are caused by bread. Without it, how else would many birds ever be rescued, rehabilitated and then released back into the wild? So before you part with your money and get ripped off by high cost “charity” branded bird seed, just use your loaf when people tell you that white bread causes angel wing. It doesn’t, they are just trying to get money out of you to feather their own nests.